Auberge Jean & Marie is new restaurant and wine bar in Amsterdam by Jan Grijpeere (Jean) and Marije Bremer (Marie), which opened its doors in the lively "De Pijp" area in Amsterdam this summer. Before opening their own, partly crowdfunded, restaurant. Jan and Marije worked at Amsterdam hotspots like winebar Vyne, Bistrot Neuf and Guts & Glory. 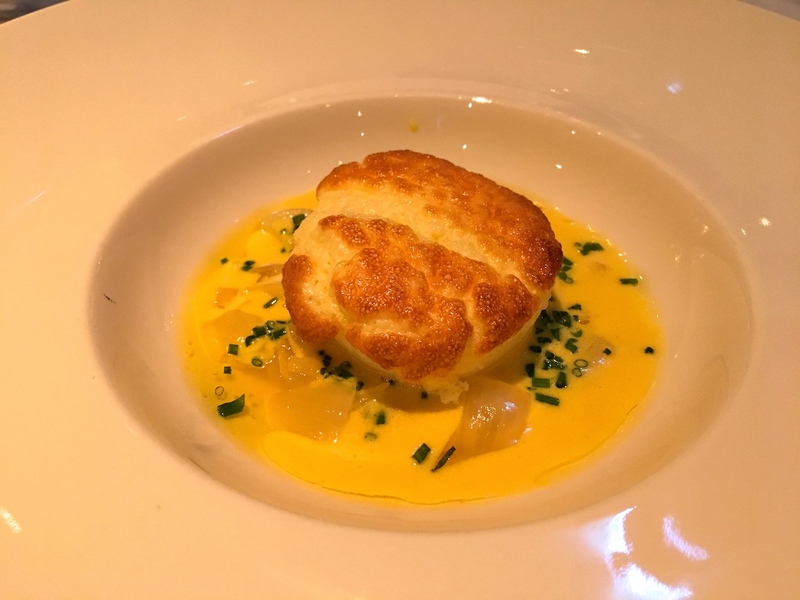 My first course was celeriac soufflé served in a Cévenne onion and nicely paired with a sauce Soubise. A well-made fluffly soufflé but the celeriac flavours were too subtle. The sauce soubise on the other hand was terrific, with lovely sweet onion flavours, a creamy, palate coating texture, and a hint of saffron. 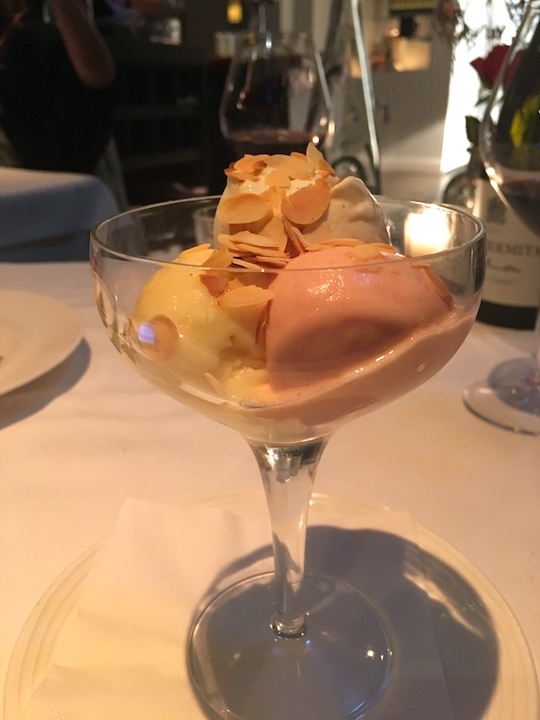 The restaurant served a glass of Chasselas Vieilles Vignes 2014 from Schoffit with it, which complemented the sweet onions wonderfully. This was followed by a deliciously intense "Hollandse garnalen" (grey shrimp) bisque, served with thinly sliced fennel, and fresh grey shrimps on brioche toast. An excellent bisque with a good depth of flavour and a subtle hint of heat in the finish. The latter is an important part of the seasoning, but it is often forgotten. 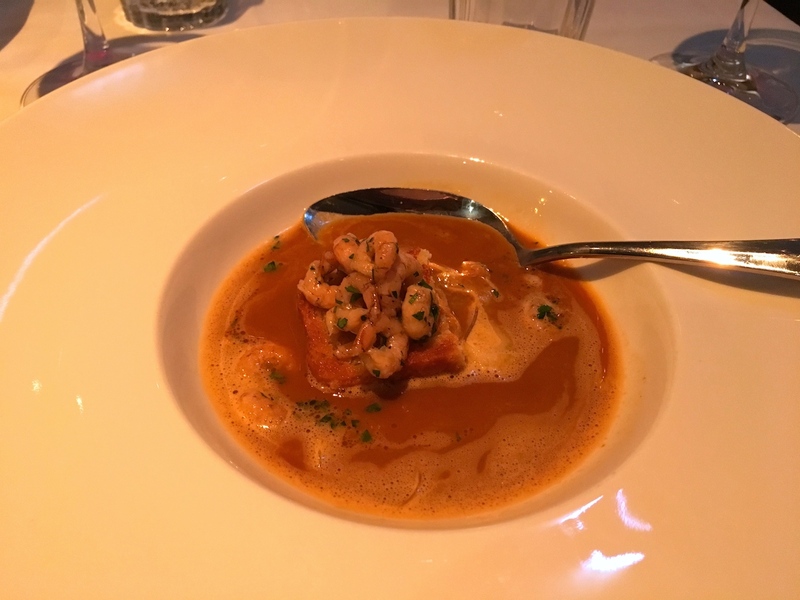 The fennel intensified the flavour of the bisque and the shrimps, but also added some crunch. 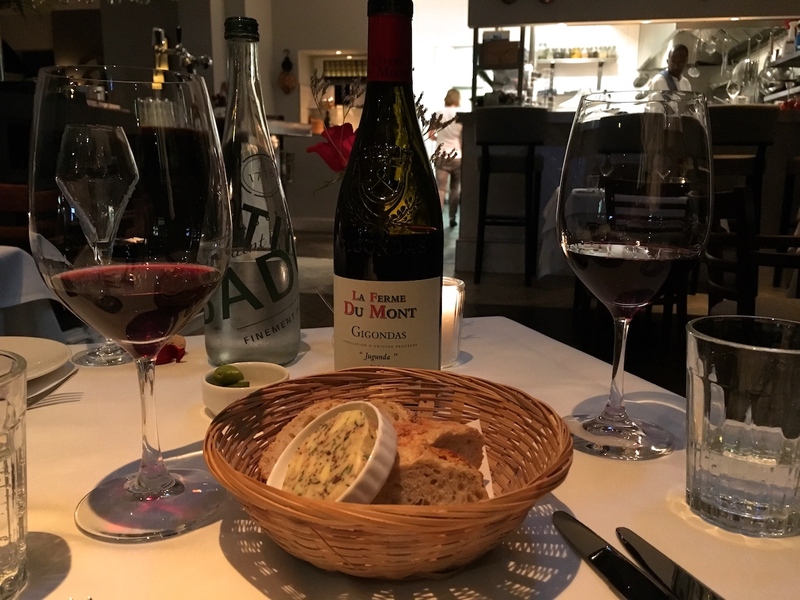 By now we had ordered a bottle of Gigondas Jugunda 2014 from La Ferme du Mont (€46). My main course was "Cotelette du porc", a nicely cooked pork chop with a beautiful deep pink colour and a lovely layer of fat, accompanied by a classic "bonne femme" garnish (peas, potatoes, bacon, baby onions, carrots), and a wonderfully full-flavoured and pungent mustard sauce. An unfussy, delicious plate of food. Equally delicious was a simple but perfect dessert of homemade ice creams (vanilla, orange, and blood orange). A lot of my dining out is based on last-minute decisions and in this case I called the restaurant an hour beforehand. Luckily there was still one table left for 2, and from the moment I walked into the restaurant I felt that it was going to be a good night. And I wasn't disappointed. 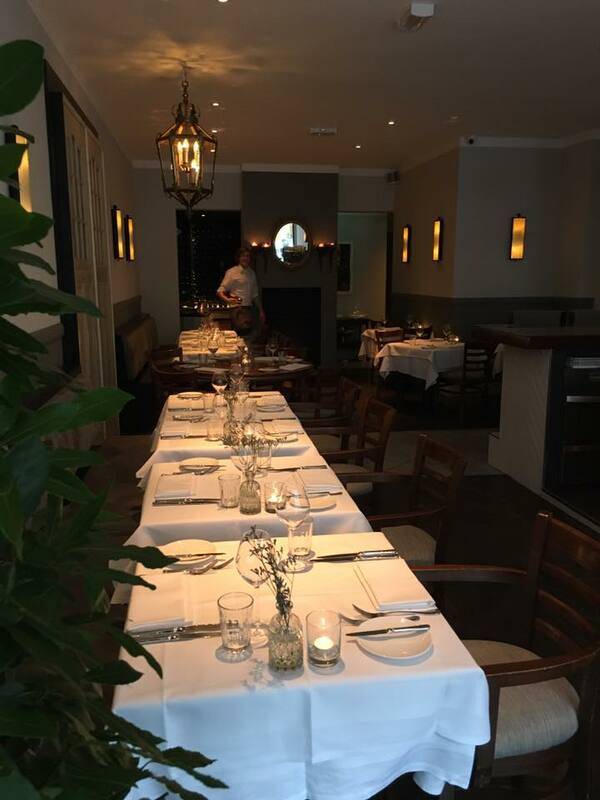 Jean & Marie is a wonderful, friendly and casual dining spot that serves pleasing, no-frills dishes. A style of cooking that is not about the latest fad, but about authenticity and good ingredients, and this is exactly what you want and hope for in a place like this. With the attractive pricing (around €45 for 3 courses) and the excellent wine advice by Marije, I can safely add Jean & Marie to my growing list of great places to eat at in Amsterdam. There's no comment section on this website, but please feel free to contact me through Twitter (@ElizabethOnFood) or Facebook (ElizabethOnFood).